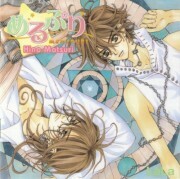 Tagged under Matsuri Hino, Series. Airi Hoshina is a normal high school girl with dreams of living a simple happy life together with her Prince Charming, even though everyone tells her it was impossible and guys like that don't exist. However, one morning, while on her way to school, a mysterious boy appears out of Airi's 7-sided heirloom mirror! The little boy, Aram, is the Prince of Astelle and is trying to escape from his older brother, Jeile, who had cursed him: every time Aram was in the dark, he would grow older, and could only be returned to his child form by The Kiss of his Beloved "Maiden"... which coincidentally happens to be Airi! Aram and Airi's love is tested by Aram's royal family in both our world and Astelle. But what mystery of Airi's descendants does she not know about? And what trouble will come out of the mirror? 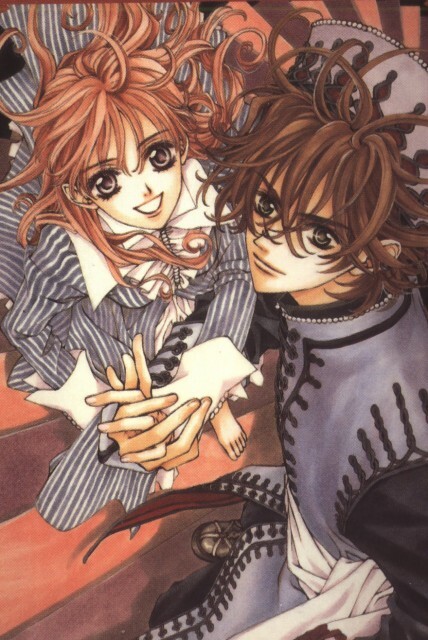 Merupuri is another Matsuri Hino's Manga,the same author who created vampire knight..But merupuri is much better and funnier and have a lot of sense of humor,i love the artwork,it's very beautiful,i wish they made an anime of this manga,it'll be nice. my favs are: Airi Hoshina,Aram and Jeile!! Boys are really similar to Kaname and Zero in this anime *____* (well, it's the same mangaka so...it's completely normal xD). Sweet, sweet and once again sweet. It's a short manga focusing on a teenage girl Airi who falls in love with Aram, the price of a foreign kingdom. The story is not so simple though, Aram has a course on him that causes quite some comic and awkward situations for Airi. Even the side characters are funny and it's recommended if you need a good laugh and a dose of romance at the same time.